Sign up and receive a coupon good for 15% OFF your first order! 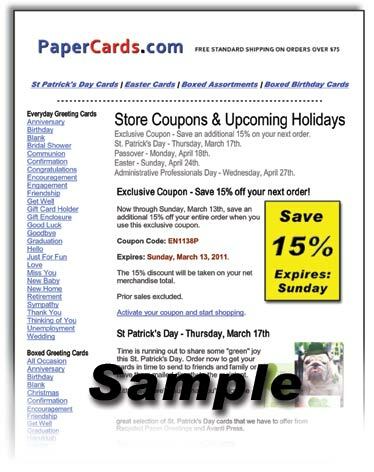 Save BIG when you sign up to receive the PaperCards.com newsletter! Sign up for our monthly email newsletter and receive a coupon good for 15% OFF your next order! After you register, you'll receive an email with a coupon good for 15% off your next order. Valid for first time newsletter subscribers.